Learn how to identify and get rid of leafhoppers using time-tested, natural and organic techniques. Many species of leafhoppers exist in home gardens throughout North America. Both adults and nymphs feed by puncturing the undersides of leaves and sucking out plant juices. 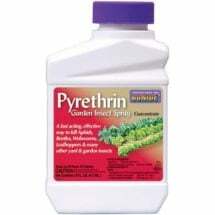 Their toxic saliva causes spotting (white specks), yellowing, leaf curling, stunting and distortion of plants. 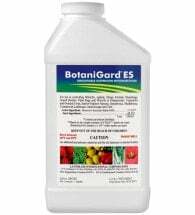 They are also responsible for transmitting the organisms causing virus diseases in plants. Common host plants include beans, corn, lettuce, beets, potato, grapes, roses and many others. 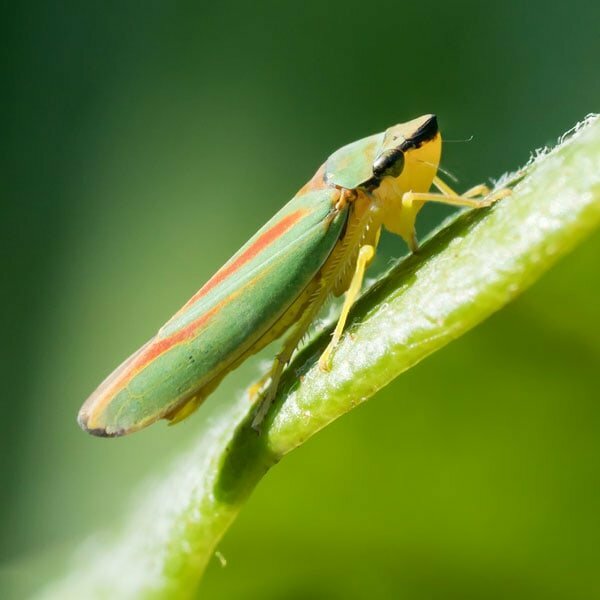 Leafhopper adults (1/4 inch long) are slender, wedge-shaped insects that fly or disperse rapidly when disturbed. Depending on species they may be green, brown or yellow in color and often have colorful markings. Nymphs do not have wings and are generally lighter in color than adults. Both adults and nymphs run sideways and are good jumpers. 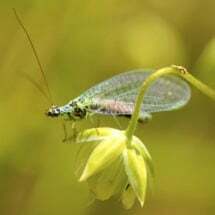 Note: There are more leafhopper species worldwide than all species of birds, mammals, reptiles and amphibians combined. Adults overwinter in crop debris or non-cultivated areas adjacent to gardens. In late spring females deposit 1-6 eggs daily within the stems and larger veins of the leaves. Hatching occurs in 6-9 days, and the young nymphs molt 5 times before they become fully grown adults. White cast skins shed by the molting nymphs can often be found attached to the underside of damaged leaves. The period from egg to adult is about three weeks. Several overlapping generations may be completed during the growing season. Remove garden trash and other debris shortly after harvest to reduce over-wintering sites. Floating row covers can be used as a physical barrier to keep leafhoppers from damaging plants. 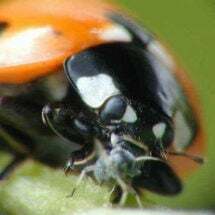 Commercially available beneficial insects, such as ladybugs, lacewing and minute pirate bugs, are all voracious predators of both the egg and young larval stage. 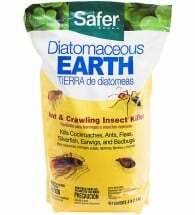 Apply diatomaceous earth to plants and/or spot treat with insecticidal soap to keep pest populations under control. 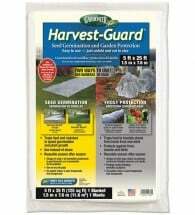 Thorough coverage of both upper and lower infested leaves is necessary for effective control. 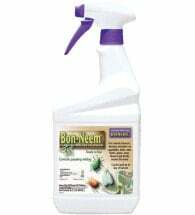 If pest levels become intolerable, spot treat with potent, fast-acting organic insecticides as a last resort. 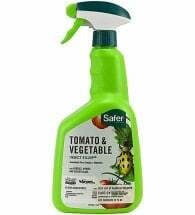 Tip: To improve the effectiveness of insecticidal soap, mix 1 tablespoon of isopropyl alcohol to 1 quart of the spray. 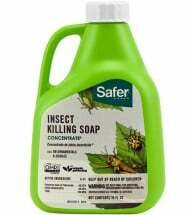 It helps the soap penetrate the insects’ outer shell.